It is amazing how a small unit of dedicated individuals totally focused on a mission can make big waves. This is exactly what Projek Iqra’ is doing. The humble beginnings of Projek Iqra’ started in 2012 when three friends from Universiti Teknologi Malaysia got together to work on their vision of educating low income and underprivileged children who are academically lagging at school. Projek Iqra’ is a registered non-government non-profit organisation and its vision and mission fall in line with the principles of “Iqra”, which means reading/literacy. The pioneers of Projek Iqra’ are Muhammad Solleh Mahfoz who is the president, Sharifah Sharina Syed Aswad, vice president and Suhaimi Abdul Manan, the treasurer. Solleh and Sharifah have an IT background whereas Suhaimi’s training is in finance. 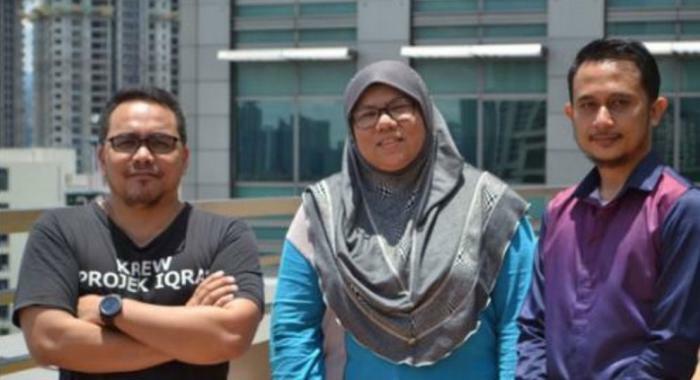 Finding Projek Iqra’ highly gratifying, the trio have since relinquished their full-time paying jobs to concentrate on the children who need them. Needless to say, the skills acquired from their previous jobs now guide them in the operations of Projek Iqra’. It all began one Hari Raya when Sharifah was invited by a welfare home to organise an event to take their children shopping to select their own ‘baju raya’. The outspoken lady explains it enthusiastically, “I gathered some friends and volunteers and with a budget we took the children shopping and ended up learning a lot about life and gaining far greater satisfaction than the excited children. The feeling was just fantastic. It changed my whole perspective to life.” That tremendous feeling led her to continue the gesture for another three years. When there were further requests from welfare homes to teach children, the three friends then decided to focus on education as the best way to pave a bright future for children, which was what led to the birth of Projek Iqra’. With no funding at that point, they operated from coffee shops for some time. 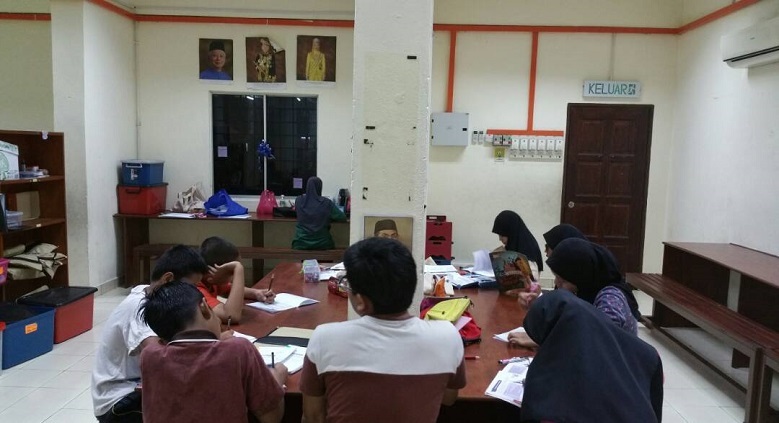 Team Projek Iqra’ have travelled far with their endeavour, and today they function from a shoplot in a small but comfortable office in Taman Pandan Cahaya, Ampang. Recently, Projek Iqra’ was able to expand their staffing and now have two friendly, hardworking full time workers who attend to numerous office functions including packaging of merchandise to be placed on sale. Projek Iqra’ aims to improve the academic performance of less fortunate children and youngsters. Their mission is to organise classes for struggling children and youngsters between the ages of 7 to 21, to improve their basic education and also to provide a second chance to those who have gone astray. Sharifah’s fervent hope is that, in preparing these children to face the outside world and by equipping them with the skills to earn a living, they themselves will some day extend this gift of giving. Although the primary mission of Projek Iqra’ is to give children and youth the tools of education, inevitably, hungry stomachs hamper studies. According to Sharifah, the urban poor communities receive food supply from Jabatan Kebajikan Masyarakat Malaysia and Zakat on certain dates. However, when there is a shortage of necessities, Projek Iqra’ goes the extra mile and steps in. This extra mile also extends to parents, as Projek Iqra’ educates them too on how to find jobs, budget their income, save money and so forth, with the intention of helping them to help themselves and their children. Irrespective of the challenges, Sharifah feels she has found her purpose. Sharifah’s message is pretty straight-forward -community service is a big commitment and can be a challenge…unless undertaken with compassion. You can find out more about Projek Iqra’, and contribute to their venture by visiting the website here.